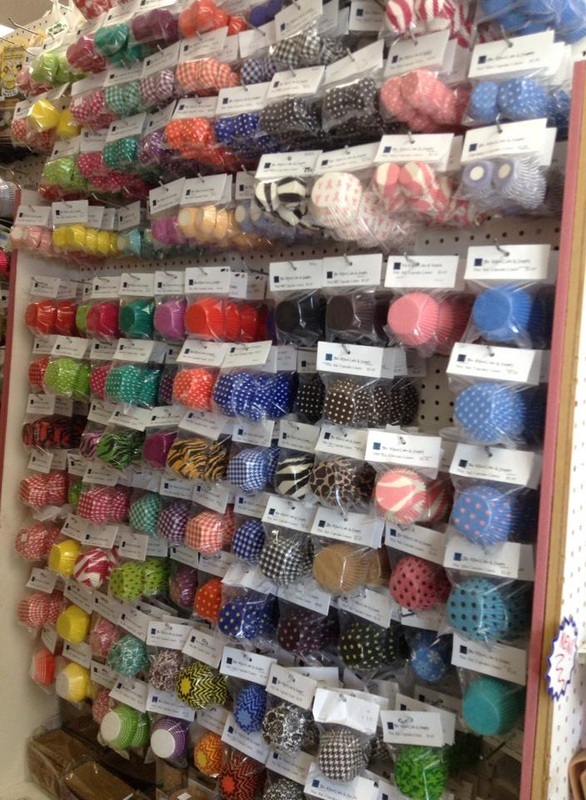 We have dozens upon dozens of different styles of cupcake liners to choose from. The photo above is only just half our stock! We have a number of colors available in solid, animal, checkered, polka dot, chevron, floral, paisley, and seasonal prints... and then some! We also carry several foil liners, including some paper cups that are lined with foil on the inside, perfect for avoiding that pesky problem of bleeding colors when baking! Our liners are available in mini, standard, jumbo, and candy cup sizes and we have both plastic clam shell and box containers that make transport a snap!